A loan of $975 helped to procure a Zoona branded trolley and an internet enabled phone as well as the funds needed to make the actual transactions so that he can start running his own business. 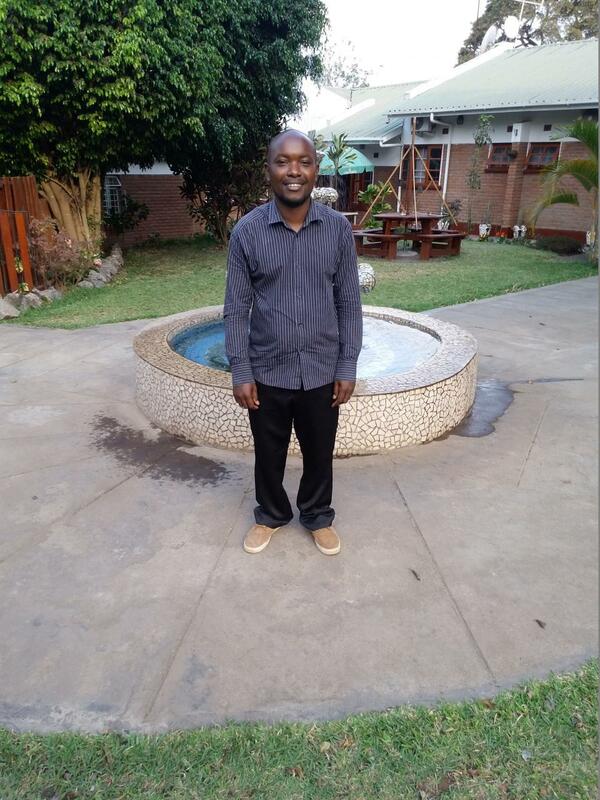 Macdonald is a bright, eager man who resides in a town called Nkhata Bay in Malawi. Nkhata Bay is scenically situated on the shore of Lake Malawi and is thus a huge tourist attraction. Nkhata bay is also situated between the two biggest cities in Malawi which makes it an ideal location for an emerging entrepreneur. Macdonald is looking to set up his own business here, this will make the sending and receiving of money much easier and safer for locals. Currently, the economy in Malawi makes it difficult for young people to find gainful employment. This makes it difficult for Macdonald to support himself and his family. He believes that becoming a Zoona agent and running his own business will turn his situation around. Macdonald has a certificate in Accounting and he would like to make a success of running a mobile money transfer business in Nkhata Bay. Macdonald will use the revenue generated to further his education. He is excited at the prospect of employing people. With this loan, Macdonald will be able to purchase a branded Zoona trading trolley which he needs in order to serve customers. He will also purchase a mobile phone and have the funds needed to serve people who need to access financial services in Nkhata Bay. Macdonald thanks Kiva lenders for their support. This loan is a combination of the following: 1) Capital Growth Loan: An asset-based loan provided to both existing and new Zoona agents for setting-up or expanding their mobile transactions business. Part of the amount is an in-kind loan to enable agents to acquire assets for their mobile transaction business. For existing agents, the loan is designed to inject medium-term working capital assistance to purchase additional assets or expand to new locations thereby helping their businesses grow. 2) Electronic Float Advance: Short-term liquidity assistance to qualifying Zoona agents to allow them to make mobile money payments when their electronic balance is too low to meet their immediate business needs. The loan is intended to provide borrowers with a boost to their electronic float to allow them to handle more revenue generating transactions and also give them a means to support transactions during peak demands. The borrowers will be able to draw down their electronic advance on a per-transaction basis. There are no monthly repayments, rather the borrowers will earn less commission on per transaction basis on the funds utilized from the advance. Repayments will include fixed monthly repayments for the capital growth portion and a bullet payment at the end of an 18-month term for the electronic float advance. By supporting this loan, you’re helping an entrepreneur set up or expand their business. Zoona is a mobile money operator that invests in emerging entrepreneurs in Africa who are transforming their communities. In Africa, there is a tremendous pool of entrepreneurs, business owners, and young people who dream of making money and serving their communities but who are struggling to find the resources and support to reach their full potential. Zoona offers entrepreneurs an opportunity to build their own businesses and create wealth and employment through mobile payment solutions, financial services, business management tools and support. The network of Zoona outlets in urban and rural areas enables unbanked and financially excluded individuals the ability to transact in an easy, quick and safe manner with family, friends, and other service providers. This is a step change improvement in countries like Malawi, where the majority of transactions are still conducted in cash and are thus inefficient, insecure, and expensive. Zoona's unique model of enabling emerging entrepreneurs to provide mobile money services to consumers has the potential to significantly push the boundaries of financial inclusion in Africa. Kiva loans made through Zoona provide champion agents (mobile banking service agents) with funding for fixed asset purchases, setup expenses, and working capital float to ensure resources to manage cash in/out transaction requests. As the mobile transactions business is new in Malawi and takes some months to scale in an agent location, Kiva loans will be structured so that a portion of an agent’s monthly transaction revenue/commissions will be used to repay Kiva loans.